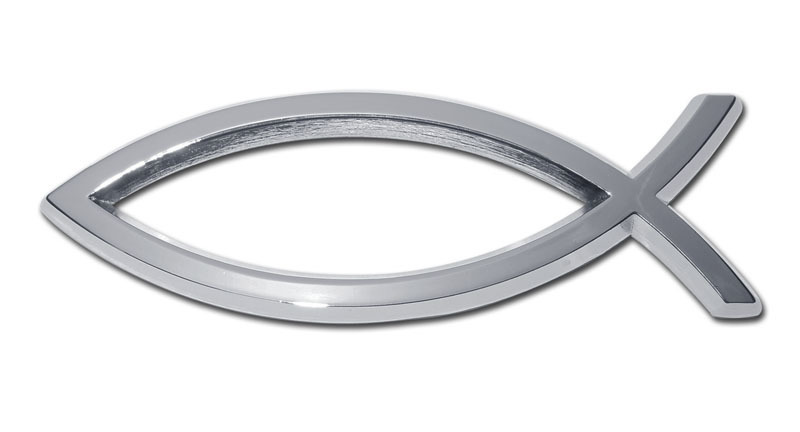 Christian Fish chrome auto emblem. This is a real metal emblem with genuine chrome plating. Not a CHEAPER plastic imitation covered with a silver colored film. We utilize a double sided 3M foam automotive tape for easy, long lasting, paint safe attachment. Size 3.5in x 2.5in FREE SHIPPING!